Like many people last year, we were in complete disbelief of Avengers: Infinity War and felt helpless knowing it would be a full year before we would have some kind of closure. 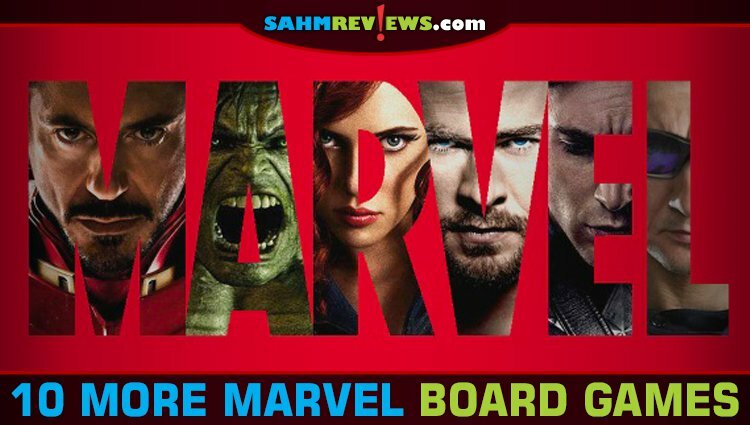 We decided to make the most of it by playing the best Marvel-themed board games including one that allowed us to take on Thanos on our own. These small victories helped us keep Marvel on our mind during the off season. 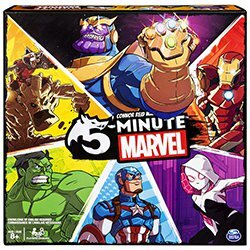 As we soak up the introduction of Captain Marvel and anxiously await the release of Avengers: End Game, we’re biding our time by once again adding Marvel-themed board games to our agenda and we encourage you to do the same. 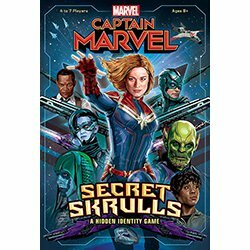 This second list of Marvel-themed games includes a variety of characters in the Marvel family allowing you to get your Avengers fix plus more! Most of these are readily available on Amazon or at your local game store so stock up and have a party to get everyone ready for the big release! This frantic and chaotic card game keeps everyone on edge as players must defeat an endless horde of enemies before time’s up. Everyone plays at the same time altogether. Slap down cards to match symbols on the Villain cards to destroy them, then swipe the cards to the side. Battle the next villain and the next to get to the ultimate battle against the all-powerful Thanos. 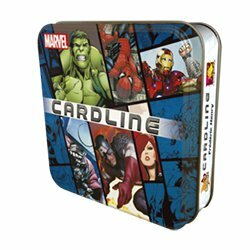 Cardline: Marvel is similar to Cardline: Animals — but with superheroes and other characters from the Marvel Comics universe! It is a card game played with approximately 100 cards. Both sides of each card depict a character and its name, while its weight, IQ and fighting ability are printed on only one side of the card. 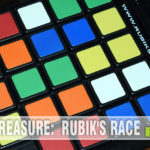 For each game, players decide before playing which of the three statistics they’re comparing. 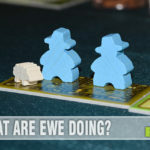 This release is perfect for beginners and Dice Masters veterans alike. Even if you’ve never read X-Men comics, this is an exciting entry point to the adventures of Xavier’s top students! Featuring more than a dozen characters (and their dice! 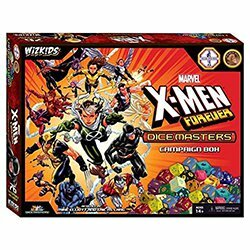 ), the Marvel Dice Masters: X-Men Forever campaign box will be sure to deliver an epic experience! What’s a campaign box? A campaign box is fixed content in a large box, and has everything 2 players need to start playing Dice Masters! You take on the identity of a S.H.I.E.L.D. team hero or an evil Hydra operative hiding within. No one knows who you are yet. Choose one of the 14 Hero Cards including Captain America, Spider-Gwen and Black Panther. Arm yourself with your character’s special weapons and abilities and mount team offensives to defeat villains. Complete missions to get to the ultimate battle against Red Skull. Two to five players face off in a classic battle of good versus evil. Everyone gets a character with a HeroClix Combat Dial to track their level and build points. One player is the villainous Mastermind and the rest are the heroes trying to save the world. Marvel Strike Teams is a campaign game designed by Andrew Parks. 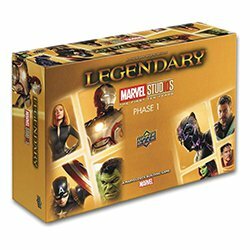 Commemorating the 10th Anniversary of the global theatrical phenomenon known as the Marvel Cinematic Universe, this limited edition addition to the Legendary family of deck-building card games features star-studded, action-packed, iconic imagery pulled directly from Marvel’s phase one collection of movies. 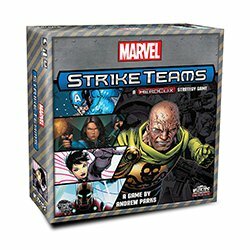 In this game, you are leading fan favorite Marvel Super Heroes like Captain American, Iron Man, and Thor to trounce Super Villains! 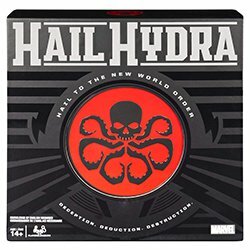 This limited edition release is 100% compatible with all previous Legendary Marvel releases, theatrical or comics based, for countless combinations of seamless scenarios. 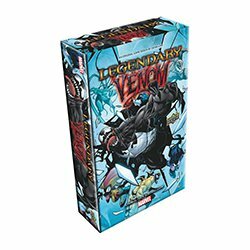 Expand your Legendary experience with all-new poisoned and venomized versions of your favorite heroes and villains! Help Venom and Carnage devour their way through the Marvel Universe, on a collision course with new epic masterminds like Poison Thanos! The game will feature 5 new heroes, 2 new villain groups, 2 new masterminds and 4 new schemes. Requires a Legendary Core Set to play! The return of fan-favorite keywords like Excessive Violence, as well as some all new game mechanics and new twists on some old ones! Watch out when a Symbiote villain ambushes the city－they might bond with another villain to create a powerful adversary! 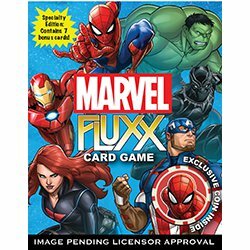 At long last, Fluxx fans can stand up and say “Make Mine Marvel!” Featuring familiar heroes and villains from your favorite Marvel comics, this Fluxx lets you assemble your dream team of Avengers, and much, much more. 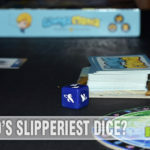 You might even notice some new super powers for your friendly, neighborhood Fluxx! Includes a collectible coin and seven exclusive cards. The game that’s all about using your head! 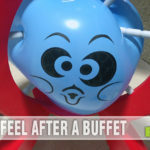 Discover the quick question game of “what am I?” featuring favorite Marvel characters. Play this “Super” game where you never know what you are until you start asking questions. Figure out if the character on your head is a superhero or a villain from the world of Marvel. Be the first player to guess who you are and win! 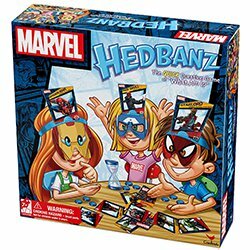 Marvel Hedbanz—where everybody knows but you! Marvel is fantastic for the entire family and can be incorporated in many different ways. These Marvel-themed games range in type, complexity and pricing, but you can also find plenty of comic books, action figures and toys too. Pick your favorite characters then add some of these to your toy and game collection! What is your favorite Marvel-themed game?